Do You Need to Report Minor Workplace Injuries? If you have been injured at work, reach out to Koszdin, Fields, Sherry & Katz to discuss your case details and determine the best way to handle your claim moving forward. Home > Blog > Do You Need to Report Minor Workplace Injuries? On behalf of Koszdin, Fields, Sherry & Katz posted in Los Angeles workers compensation attorney on Friday, January 25, 2019. If you have been injured at work but the injury seems to be rather insignificant, you may wonder if it warrants even a mention to your employer. The truth is, however, that even minor injuries can turn into something more serious on down the road, so having that documentation in place in regard to the origin of the injury is always helpful to your worker’s compensation claim. When it comes to documenting your injury, it is always best to err on the side of caution and let your employer know rather than wait for the injury to take a turn for the worse and have any lingering doubts arise later on. For example, while a minor injury such as a cut will not qualify you for worker’s comp benefits, a serious systemic infection that crops up months down the road from the cut may. Reporting of minor injuries to your employer serves a major purpose: it protects your rights under California law to receive benefits under worker’s comp rules. Under the worker’s comp framework in our state, employers are legally required to pay for any medical treatment for employees involved in work-related incidents that result in injury or illness, provided that treatment is necessary to cure or relieve the effects of that injury or illness. Under the Division of Workers Compensation, employees’ injuries are assessed using a Medical Treatment Utilization Schedule, or MTUS. When you notify your employer about an injury or an illness, the employer is required to set up a medical evaluation. If the injury or illness was caused by unreasonable work hazards of workplace conditions, then the employer is required to arrange for and be out the costs of medical care. Reporting minor injuries ensures that any related worker’s comp claims are not minimized or denied later on and serves to remove any doubt regarding the employer’s legal obligation for payment. It is important to remember that under workers comp laws, injured or ill employees have just 30 days to notify their employers about their injuries. If you fail to make a report within 30 days of the date of the injury, then you may lose your right to receive workers compensation benefits altogether for that injury. Reporting your injury requires filling out a DWC-1 claim form. This form requires you to list the date and time of the injury, the injury’s location, and a description of the injury. Once you submit the DWC-1 form to your employer, the employer is required to send it to workers comp within five days. This starts a paper trail for your injury to protect your right to benefits should the injury morph into something bigger. 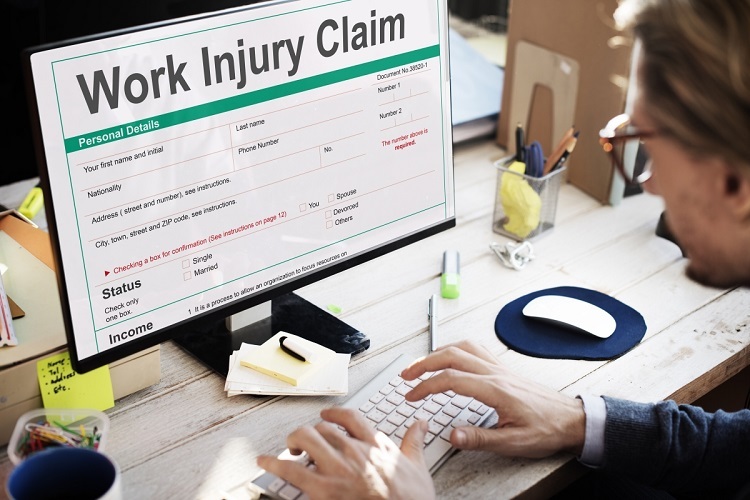 If you have been injured at work, reach out to Koszdin, Fields, Sherry & Katz to discuss your case details and determine the best way to handle your claim moving forward. Our compassionate and experienced Los Angeles workers compensation attorney are waiting to hear from you.